It seems that the importance of VPN services increases every year. We now know that the internet is nowhere near as anonymous as many people assumed it to be not too long ago, with governments spying on their citizens, websites selling information about their users, and cybercriminals taking advantage of unprotected networks and outdated protocols. VPN services offer improved security and online privacy by creating a private tunnel between you and VPN servers and using this tunnel to send data to the internet in an encrypted form. Virtually all VPN services in 2019 use military-grade encryption, ensuring that nobody can decrypt your data—not even government organizations with access to supercomputers. To help you select the best VPN service for your needs, we’ve tested & reviewed more than 50 popular VPN services and narrowed them down to 7 winners. No matter which VPN service you select from our list, we guarantee that you’ll be satisfied with your choice. With NordVPN, you can expect a decrease in download speed and upload speed between 3 and 5 percent, depending on the location of the VPN server you choose. To get the best results, use the Quick Connect features, which automatically determines the most optimal server for you. NordVPN is based in Panama, a country that doesn’t participate in the Five Eyes or Fourteen Eyes alliances and has no mandatory data retention laws. NordVPN’s no-logs policy has been recently verified by an independent audit, so you can fully trust it with your personal information. Both torrenting and Netflix are allowed on NordVPN’s servers, and you can even connect to special P2P and Netflix servers for the best performance possible. Torrenting and Netflix should work right out of the box, but NordVPN has detailed tutorials on how to connect to its P2P and Netflix servers in great detail. 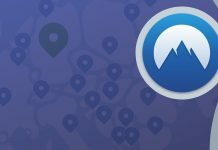 NordVPN has a fantastic help center where you can instantly find answers to most questions, and it also offers live chat support and a customer support email address. Unfortunately, there’s no phone number to call if you want to talk to a real person, but that’s how it is with most VPN services. Prices start at just $2.99 a month if you pay for 3 years of service upfront. Because you get a 30-day money-back guarantee on your first purchase, there’s really no reason to not go with the most cost-effective plan. That said, you can also pay on a monthly basis, in which case NordVPN costs $11.95 per month. Just like its name suggests, ExpressVPN won’t keep you waiting for your downloads to finish and files to upload. Unless you have a gigabit internet connection, you should be able to max out your baseline speed and always enjoy a ping of around 20 ms.
Based in the British Virgin Islands, a British Overseas Territory in the Caribbean, ExpressVPN has no data retention laws to obey, and its safely outside the reach of all major governments. ExpressVPN doesn’t keep any traffic logs or monitor user activity. Torrenting and Netflix are allowed on ExpressVPN’s servers, which is great news because companies like TunnelBear don’t welcome P2P enthusiast and TV show fanatics with such open arms. ExpressVPN has a huge global network of over 3,000 servers located in 94 countries. You can see the full list of ExpressVPN’s server locations here. To get customer support from ExpressVPN, all you have to do is click on the Live Chat button, and a chat window instantly appears in the bottom-right corner of the ExpressVPN website. You can also file a support ticket or send an email if you prefer a less direct form of communication. Unfortunately, ExpressVPN is rather expensive, with prices typically starting at $8.32 a month. If you consider that NordVPN costs just $2.99 a month, you can probably see why ExpressVPN occupies the second place. Because CyberGhost VPN has invested a lot of money over the years to improve its infrastructure, you can expect only the best performance and the lowest latency. CyberGhost is based in Romania, which is a member of the European Union. Even though the EU doesn’t monitor online traffic to the same dystopic extend the US does, it’s still not ideal for a VPN service to be based within its jurisdiction. At least CyberGhost has a strong no-logging policy. CyberGhost allows for torrenting and Netflix, and it even makes it a major selling point. Its app has a feature that lets users automatically download torrents using untraceable servers, and we would like to see other VPN services implement something similar. At the time of writing this article, CyberGhost has over 3,700 servers in 60 countries, and it’s constantly expanding its already impressive server park. CyberGhost doesn’t offer bad customer support service, but its customer support system doesn’t feel nearly as polished as it should. The system can be very glitchy, unstable, and downright annoying. In the past, CyberGhost was often criticized for being too expensive, but that’s no longer true. Today, prices start at $2.75, and all customers get a 45-day money-back guarantee. Our testing revealed that Windscribe is one of the least consistent VPN services when it comes to connection speeds. Sometimes, we were able to max out our internet connection, but there were also times when we were barely able to reach 50 percent. Windscribe is based in Canada, one of the founding members of the 5-eyes jurisdiction, an anglophone intelligence alliance that also comprises of Australia, New Zealand, the United Kingdom, and the United States. Even though Windscribe doesn’t log the activity of its users, you can really know if its servers are safe. Yes, torrenting and Netflix are both supported, and Windscribe can even bypass Netflix restrictions, allowing you to enjoy Netflix US or UK from anywhere in the world. While Windscribe doesn’t have nearly as many servers as NordVPN, its total server count is still respectable: around 500. What’s more, the servers are spread around the world in over 60 countries. Windscribe allows you to get customer support via live chat or through its ticketing system. It also maintains an active subreddit, making it easy to find answers to previously asked questions. Windscribe’s yearly plan costs $4.08 a month, and the VPN service gives you the option to build your own custom plan. If you choose to build your own plan, expect to pay $1 per one server location. Yep, Private Internet Access, better known as PIA, is fast, pretty fast. If you have a 100 Mbps internet connection, you should be able to achieve at least 80 Mbps and possibly a lot more than that. PIA is located in the USA, which is arguably the worst location for a VPN service in the whole world (perhaps apart from North Korea, China, and Russia). It doesn’t help much then that it doesn’t keep any logs. Torrenting works fine with PIA, but Netflix sometimes doesn’t work at all. Users have been complaining about this issue for a very long time, and PIA doesn’t seem to be determined very much to do something about it. PIA has over 3,300 VPN servers, but they are located only in 33 countries, which is strange because Windscribe has just 500 servers, but they are located in 50 countries. If you don’t like instant communication, you won’t mind the fact that PIA doesn’t have a live chat option, but we consider it to be a huge downside. We’ve mentioned multiple negatives so far, but PIA compensates for them with its irresistible plans, which start at $3.49 a month. That wouldn’t be too amazing by itself, but you should consider that you can secure up to 10 devices with a single PIA user account. Hotspot Shield is a fast VPN service, but not in the US. Since most Hotspot Shield customers are based in the US and connect to US servers, we find this very strange, but there’s nothing we can do about it. Not only is Hotspot Shield based in the US, but the company was launched with money from Goldman Sachs. While most VPN services oppose logging, Hotspot Shield seems to be collecting non-identifying information about its users and sharing it with advertisers, which is a huge no-no. The good news is that torrenting and Netflix are allowed and work without a hitch. Again, speeds are fantastic unless you live in the US and connect to US servers. Hotspot Shield has servers in 25 countries, but it doesn’t say how many it has. We estimate that there are at least 500 Hotspot Shield servers, but we have no way how to confirm this. We would honestly expect much better customer support from such a large and successful company. Hotspot Shield offers only a ticketing customer support system and nothing else, which doesn’t sit well with us. Prices start at $3.49 a month, and you can get a free 1-year license to RoboForm Everywhere with your purchase. Perhaps Avast Secureline VPN is backed by the infrastructure of one of the most successful multinational cybersecurity software companies in the world, it delivers decent performance from all locations, surprising us with its consistency. Torrenting is allowed, but Netflix doesn’t work, and all you get is the standard Netflix VPN streaming error when you try to watch your favorite TV shows with Avast Secureline VPN. What a shame. It’s admirable that Avast Secureline VPN has a presence in 34 countries even though it has only 55 servers. That’s the lowest number of all VPN services introduced in this article—by far! What we like the most about Avast Secureline VPN is the fact that you can take advantage of Avast’s premium customer support and call for a free consultation. Avast Secureline VPN has strange pricing. You can either pay $79.99 a year and use the service on all your devices, or you can pick a single device and use the service only on that device. For example, it costs $59.99 a year to use Avast Secureline VPN on a PC and Mac or $19.99 to use it on Android and iPhone/iPad. The providers of VPN services do their best to make their products seem as straightforward as possible, but the truth is that VPNs are complicated and incredibly tricky to review. We could spend months testing a VPN service using our devices just to arrive at a completely different conclusion than someone who’s living in a different part of the world and is using different devices. To make our reviews as objective as possible, we always take into consideration the experience of other users and the opinions of other reviewers. Because we’re well aware that there are many fake and dishonest reviews on the internet, we don’t neglect our own testing and always perform multiple performance tests, including simple ping tests as well as more sophisticated upload and download tests. Over the years, we’ve come to understand that VPN services are only as good as the companies behind them. We always do background research to find where the companies are located, how they make money, and who are the people that own them. For example, NordVPN (our favorite VPN service in 2019) is based in Panama, which places it outside the reach of US and EU government organizations. Of course, we never forget to take pricing and features into consideration, always making sure that we’re comparing apples to apples and oranges to oranges. Great VPN services are available within any budget, and just because a VPN service costs more money doesn’t mean that it offers better features or performance. If you have any questions regarding VPN services, this is where you can find the right answers. It’s beyond the scope of this article to answer all questions, but we’ve done our best to provide reliable answers to the most common questions we know. A VPN is a virtual private network, which is a type of network that extends a private network across a public network, allowing users to securely and privately send and receive data across shared or public networks. A VPN creates a private tunnel through which you can send and receive data across shared or public network, such as the internet. These days, everyone needs a VPN. Regular internet users need a VPN to hide their online activity from unauthorized third-parties, journalists need a VPN to protect themselves when working in countries with oppressive regimes, and employees need a VPN to access corporate network resources safely from remote locations. Yes, VPNs are completely legal, but there are some countries that block them. China started blocking VPNs around 2011, Iran has been blocking non-government sanctioned VPNs since 2013, Russia blocks websites that offer VPNs from 2017, Syria has been trying to stop VPNs since 2011, which is also the year when Egypt launched its anti-VPN effort. What Is the Best VPN for Streaming? Our favorite VPN for streaming is NordVPN because it has fast servers all around the world and doesn’t enforce any bandwidth restrictions. The best VPN for torrenting is NordVPN. Unlike many other VPN service providers, NordVPN not only allows torrenting on its servers, but it even has detailed tutorials that explain how to set up popular torrent clients, including uTorrent and BitTorrent, with Socks5 proxy. There are many VPN services with great Android clients, including NordVPN, ExpressVPN, and Private Internet Access. Unfortunately, Kepard VPN service is no longer available. What Is the Best VPN for iOS? Again, all popular VPN services have iOS apps, and we recommend you compare their recent ratings and decide for yourself which one is the best. What Is the Best VPN for Firestick? When it comes to the best VPN for Amazon’s Firestick, we have to choose ExpressVPN, which is very easy to set up with the streaming device because there’s an excellent official tutorial that you can easily follow without any expert knowledge. If you’re a Kodi user and would like to stream online movies and TV shows without anyone knowing about your entertainment preferences, choose either NordVPN or ExpressVPN, and we guarantee that you won’t be disappointed. What Is the Best VPN for Chrome? Most VPN services today have an extension for Google Chrome, but their user ratings vary greatly. The best-rated VPN extension for Chrome comes from Hotspot Shield, boasting an impressive rating of 4.4 stars from over 66,000 users. Some VPN services don’t allow their users to securely access Netflix, but not NordVPN. In fact, NordVPN has several Netflix-specific servers in the United States, the United Kingdom, Canada, the Netherlands, Japan, and several other countries, making it the best VPN for Netflix. Is There Any Reliable Free VPN? Both Windscribe and Hotspot Shield, are reliable free VPN services that surprise with their speed and features. Still, we wouldn’t recommend a free VPN service to anyone who would like to use it on a daily basis. We sincerely hope that this article has helped you choose a VPN that meets all your needs and allows you to enjoy the internet securely and privately. While there are many other VPN services out there, the ones we’ve mentioned in this article are guaranteed to give you the best bang for your buck because they stand out with their performance, features, reliability, and plans. Next articleIs NordVPN Still the Best VPN in 2019?